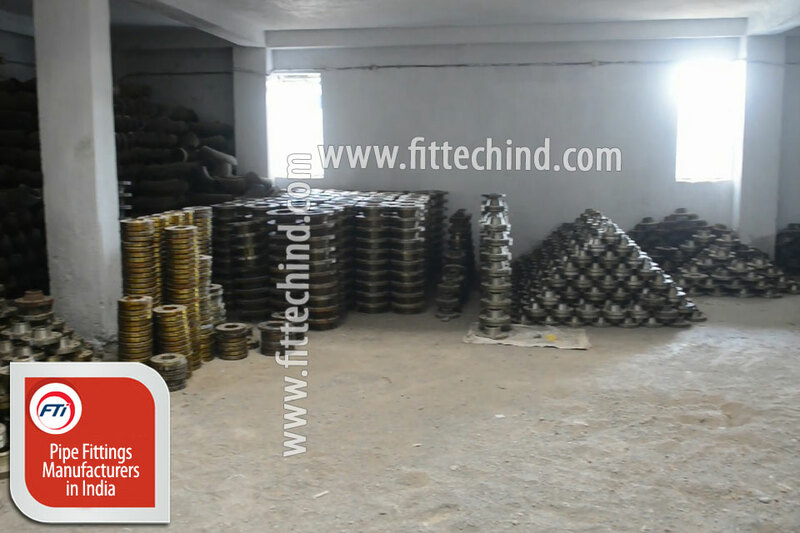 We are manufacturer & exporters of Stainless Steel Threaded Flanges, ASTM A182 Stainless Steel Threaded Flanges, A182 Gr F304 Threaded Flanges, A182 Gr F 304L Threaded Flanges, A182 Gr F316 Threaded Flanges, A182 Gr F316L Threaded Flanges, A182 Gr F316Ti Threaded Flanges, A182 Gr F321 Threaded Flanges, A182 Gr F321H Threaded Flanges, A182 Gr F347 Threaded Flanges, A182 Gr F347H Threaded Flanges, A182 Gr F317 Threaded Flanges, A182 Gr F 317L Threaded Flanges, ASTM A105 Carbon Steel Threaded Flanges, ASTM A350 Carbon Steel Threaded Flanges, ASTM A694 Carbon Steel Threaded Flanges, ASTM A182 F5 Threaded Flanges, ASTM A182 F9 Threaded Flanges, ASTM A182 F11 Threaded Flanges, ASTM A182 F12 Threaded Flanges, ASTM A182 F22 Threaded Flanges, ASTM A182 F91 Threaded Flanges, ASTM A350 LF2 Threaded Flanges, LF3 Threaded Flanges, LF6 Threaded Flanges for the Oil, Gas, Nuclear, Petro-Chemical and Process Industries. We can manufacture Threaded Flanges upto 48" with wall thickness ranging from 1.5 mm thickness up to 40mm for varied sizes. Carbon Steel Threaded Flanges & Stainless Steel Threaded Flanges are delivered with or without surface protection at the discretion of the manufacturer. Threaded Flanges are delivered by the manufacturer in normal packaging, without surface protection, and without end protectors (caps). Special packaging, protective coverings, and end protectors (caps) can be agreed. We are having our sub dealers & distributor with adequate stock of SS Threaded Flanges in India, United States, UK, Italy, Canada, UAE, Iran, South Korea, Indonesia, Saudi Arabia, Germany, Malaysia, Thailand, Venezuela, Spain, Mexico, Turkey, Poland, France, Australia, Singapore, Brazil, Netherlands, Russia, Vietnam, Colombia, Bangladesh, South Africa, Iran, Iraq, United Arab Emirates (Uae), Qatar, Dubai, Abu Dhabi, Bahrain, Oman, India, Kuwait, Turkey, Yemen, Syria, Jordan, Cyprus, Portugal, Russia, Norway, Germany, France, Egypt, Singapore, Malaysia, Indonesia, Thailand (Bangkok), Vietnam, South Korea, China, Japan, Sri Lanka, Maldives, Bangladesh, Myanmar, Taiwan, Cambodia, Malta, Italy, United Kingdom (Uk), Spain, Ukraine, Netherland, The Republic Of Congo, Argentina, Bolivia, Brazil, Chile, Venezuela, Colombia, Ecuador, Guyana, Paraguay, Israel, Czechia, Albania, Australia, Perth, Tanzania, Finland, Belgium, Greece, Czech Republic, Ireland, Croatia, Slovenia, Equatorial Guinea, United States Of America, Canada, Mexico, Panama, Costa Rica, Puerto Rica, Trinidad And Tobago, Jamaica, Bahamas, Denmark, Switzerland, Slovakia, Tunisia, Nigeria, Algeria, Angola, South Africa, Libya, Gabon, Philippines & Sudan for quick delivery of Carbon Steel Threaded Flanges with mill certificate & all required documents. We offer fastest delivery of A182 F304 Threaded Flanges in Mumbai, Lucknow, Coimbatore, Imphal, Mysore, Ratlam, Delhi, Kanpur, Darjeeling, Jalandhar, Nagpur, Solapur, Kolkata, Allahabad, Dehradun, Jammu, Nashik, Srinagar, Chennai, Ahmedabad, Faridabad, Jamshedpur, Bhadravati, Chattisgarh, Durgapur, Asansol, Hospet, Bellary, Visakhapatnam, Nellore, Surat, Bangalore, Chandigarh, Ghaziabad, Jhansi, Patna, Siliguri, Hyderabad, Amritsar, Noida, Kochi, Pune, Thiruvanthapuram, Jaipur, Aizawl, Guwahati, Kozhikode, Raipur, Vishakhapatnam, Jabalpur, Bhopal, Gwalior, Ludhiana, Rajahmundry, Thane, Agra, Bhubaneshwar, Gurgaon, Madurai, Rajkot, Varanasi, Bhilai, Haridwar, Meerut, Ranchi, Ahmednagar, Akola, Amravati, Aurangabad, Baramati, Beed, Bhandara, Bhiwandi, Buldhana, Chandrapur, Chimur, Dahanu, Dhule, Dindori, Erandol, Gadchiroli, Hatkanangle, Hingoli, Ichalkaranji, Jalgaon, Jalna, Karad, Khed, Yavatmal, Kolaba, Kolhapur, Kopargaon, Latur, Malegaon, Mumbai, Nagpur, Nanded, Nandurbar, Nashik, Osmanabad, Pandharpur, Parbhani, Pune, Rajapur, Ramtek, Ratnagiri, Raver, Sangli, Satara, Shirdi, Shirur, Solapur, Thane, Wardha, Washim, Andhra Pradesh, Jammu and Kashmir, Nagaland, Uttarakhand, Haryana, Lakshadweep, Arunachal Pradesh, Jharkhand, Odisha, West Bengal, Himachal Pradesh, Assam, Karnataka, Punjab, Andaman and Nicobar Islands, Puducherry, Bihar, Kerala, Rajasthan, Chandigarh, Meghalaya, Chhattisgarh, Madhya Pradesh, Sikkim, Dadar and Nagar Haveli, Mizoram, Goa, Maharashtra, Tamil Nadu, Daman and Diu, Tripura, Gujarat, Manipur, Telangana, Delhi and Uttar Pradesh in India.